Kids & Company is one of North American’s fastest growing child care companies. We currently have 9 locations in the US! Kids & Company’s greatest priority is to ensure that we meet every child’s individual needs, by providing a stimulating, secure and loving environment. We are always looking for great people to join our team! The Staff at our child care centers includes qualified teachers in the Early Childhood Education space. Our experienced staff are experts in providing nurturing care that helps deliver a positive learning experience. • Meets Licensing requirements as set by your State/County/City Licensing bodies. Reporting to the Center Director, acts as an integral member of the Kids & Company team to assist in the overall care and supervision of a child age group through the conscientious application of Kids & Company standards to achieve our mission statement: to provide quality primary and backup childcare services conveniently located near our children’s parent’s place of work. We aim to assist corporations in creating a healthy work/life balance. Not all of our employees work at our Childcare Center. Many of our staff members work to support our centers from our Head Office in Richmond Hill Ontario or throughout various geographical locations across Canada and in the US. Our Support staff consists of talented professionals from a variety of fields including Accounting, Administrative, Culinary, Human Resources, Marketing, Sales and More! Interested in becoming a member of our Support staff? There are no opportunities at this time. Come back soon! Why work at Kids & Company? Ernst & Young Entrepreneur of the Year Award, Deloitte`s 50 Best Managed Companies, RBC Momentum Award and many more! Unlike other companies where you have to wait for people to retire, Kids & Company is always growing and we have new positions becoming available all the time! Qualified candidates for whom we may have a position available may be sent an email screening. The email screening asks questions about your qualifications, experience and what kind of position you are looking for. If you are selected to move forward, you will be contacted about scheduling an in-person interview at one of our locations. 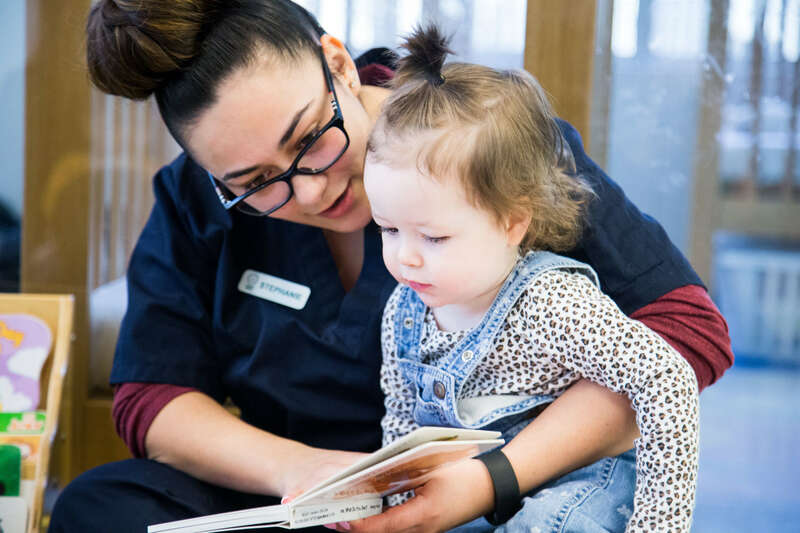 Candidates that apply to work at our Childcare Center may be asked during the interview to spend some time in the classroom, create a program plan and answer “scenario” questions. Once the interview is complete, we will require 2 or more professional references. If you are offered a position, you will be provided with an offer letter and a list of hiring requirements that must be completed prior to starting. This list varies depending on your region. It may include; a police clearance, a medical check and CPR/First Aid certification. Please note that all hiring decisions are made through our centralized Human Resources department, so you only need to attend an interview at one location. While we appreciate everyone's interest in working with Kids & Company, only those being considered to move forward in the interview process will be contacted. Kids & Company is an equal opportunity employer. Kids & Company is committed to providing accommodation to persons with disabilities so that they may pursue employment opportunities in a similar way to other applicants. If you require accommodation as a job applicant, please contact us by emailing careers@kidsandcompany.com or call us at (480) 707-7259.